The Norse myths are woven into the fabric of our storytelling – from the novels of Tolkien to the worlds of comics and superheroes. They are also an inspriration for Neil Gaiman’s own award-winning, bestselling fiction. 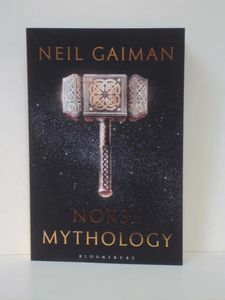 Now Gaiman reaches back through time to the original source stories in an epic and electrifying retelling of the great Norse myths – thrilling tales of dwarfs and frost giants, of treasures and magic, and of Asgard, home to the gods: Odin the all-father, highest and oldest of the gods; his mighty son Thor, whose hammer, Mjollnir, was forged by dwarfs and makes the mountain giants tremble; Loki, wily and handsome, reliably unreliable in his lusts; and Freya, more beautiful than the sun or the moon, who gives short shrift to the gods, giants and ogres who seek to control her. Bess is hoping to show everyone just how happy her recent marriage is, but behind all the party-planning the cracks are begining to show. Why is joining a new family so difficult? Jojo, Bess’s stepdaughter, has a point to make. Bess is not her mother, and she won’t replace the one she’s been missing every day for the past two years. And will she ever get the chance to become a mum herself? 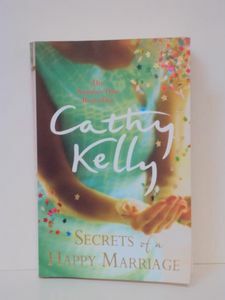 Thanks to laughter, tears and one surprise appearance, the Brannigans might just discover the secrets of a happy marriage…But will they find out before it’s too late? Granted leave from the Questura, Brunetti is shipped off by his wife, Paola, to a villa owned by a wealthy relative on Sant’Erasmo, one of the largest islands in the Venetial laguna. There, he intends to pass his days rowing, and his nights reading Pliny’sNatural History. 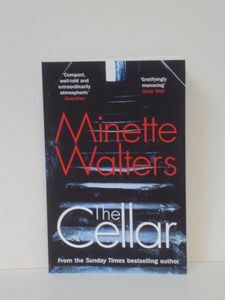 The recuperative stay goes according to plan and Brunetti is finally able to relax, until Davide Casati, the caretaker of the house, goes missing following a sudden storm. Nobody can find him – not his daugher, not his friends, and not the woman he’d been secretly visiting. Now, Brunetti feels compelled to investigate, to set aside his holiday and discover what happened to the man who had recently become his friend. 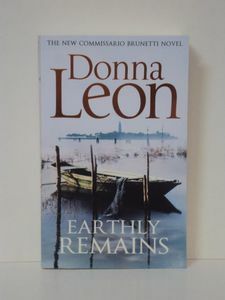 In Earthly Remains, Donna Leon shows Venice through an insider’s eyes. From family meals and vaporetti rides to the never-ending influx of tourists and suffocating political corruption, the details and rhythms of everyday Venetian life are at the core of this thrilling novel, and of the terrile crime at its heart. Life is getting better for seven-year-old Bertie Pollock. The enforced absence of his endlessly pushy mother, Irene – currently consciousness-raising in a Bedouin harem – has immediate blessings: no psychotherapy, no Italian lessons and no yoga classes. Bliss. 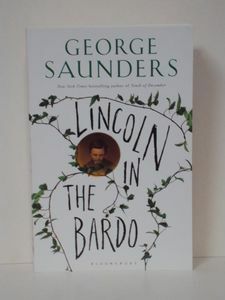 Elsewhere, Matthew makes a discovery that could make him even richer but also leaves him worried; Pat makes one that could make her poorer and her father miserable – unless that uber-narcissist, Bruce, can help her out; and the Duke of Johannesburg, we discover, isn’t exactly who he says he is. 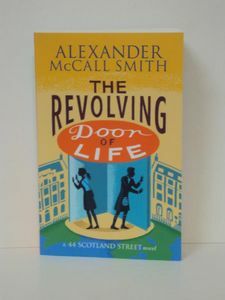 Will the residents of 44 Scotland Street – both young and grown-up – be able to overcome the new dilemmas thrown their way? 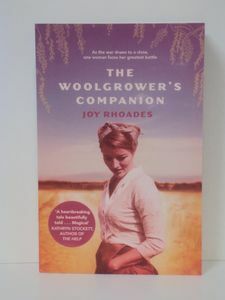 With only the sheep-rearing book The Woolgrower’s Companion to guide her, Kate rises to the challenge. 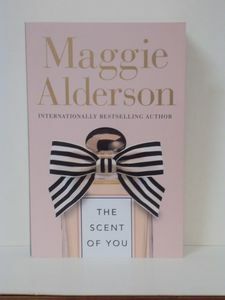 However, the arrival of two Italian POW labourers unsettles not only the other workers, but Kate too – especially when she finds herself drawn to the enigmatic Luca Canali. Then she receives devastating news. The farm is near bankrupt and the bank is set to repossess. 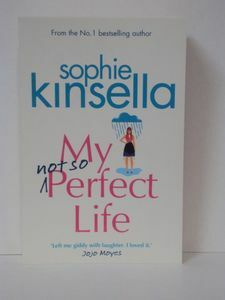 Given just eight weeks to pay the debts, Kate is now in a race to save everything she holds dear. Muna’s bedroom is a dark windowless cellar and her activities are confined to cooking and cleaning. She’s grown used to being maltreated by the Songoli family; to being a slave.